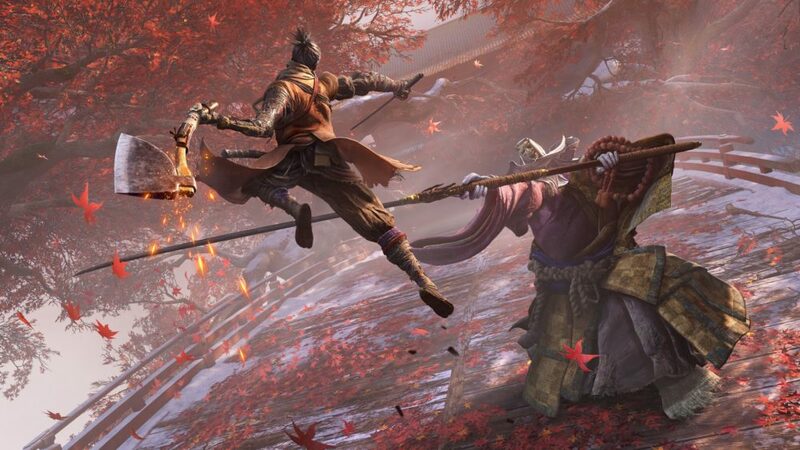 Sekiro is much more linear and follows a more traditional story path than previous Soulsborne games, which had open world elements. There’s an actual character that isn’t you, and what you should be doing next is a lot more clear. It’s not any easier, in fact, it might be even harder, but it’s more linear nonetheless. This is the case for roughly the first six to seven hours of Sekiro: Shadows Die Twice. However, things change when you beat a certain enemy and reach Ashina Castle. At this point, the game opens up quite a bit and you’re given three different areas to explore. You can tackle them in any order you like and this gives you a small taste of the open world freedom that you might be used to in Soulsborne games. That said, we would hesitate to call Sekiro a true open world game. There are elements of it at times throughout the story, but it’s definitely more of a linear experience, especially when compared to other games made by FromSoftware in recent years. That does it for whether or not Sekiro: Shadows Die Twice is open world. For more on the latest and possibly greatest from the folks behind FromSoftware, be sure to check out our wiki guide which has plenty more tips, tricks, and frequently asked questions answered. You’ll need all the help you can get in this brutal new world.